Lying roughly 12 km south of Phuket, these two islands are called by various names, Koh Raya, Koh Raja or even Koh Racha, and is composed of two islands, Koh Raya Yai and Koh Raya Noi. The aquatic life surrounding both islands is very similar, however there is more chances of seeing big fish and manta rays. So although the diving around Noi is more challenging than Raya Yai, the rewards can be much greater. Koh Raya Yai, (Yai meaning large in Thai) is the larger of the two islands and offers good diving along its east coast. Here there are good, mild drift dives along beautiful hard coral walls sloping down to a depth of 20-30m. Marine life includes Barracuda, the occasional reef shark, octopus and the usual reef inhabitants. Raya Yai offers a perfect place to learn to dive and also well suited for more experience divers who want to take a relaxing drift dive. Lucy’s Reef and Maria’s Mystery Wreck are two nice dive sites. Dive sites can be reached in 5-20 minutes, with the Raya Noi sites being 30 minutes to 1 hour away. Koh Raya Noi (Noi meaning small in Thai) is south of Raya Yai and offers some of the most pristine soft coral reefs in Thailand. The dive sites around Raya Noi are more suited for experienced divers due to the deeper waters and the strong currents. During the full moon when the tidal change is biggest it is not possible to dive Raya Noi. The dive site at the Northern end of the island features a large pinnacle where spotting a glimpse of larger marine life is likely, while the Southern dive sites offer a nice drift dive with the added bonus of having a beautiful little beach to visit during your surface interval. We are still in Phuket and just a short distance by boat you'll reach Racha Yai Island (Koh Raya), where you will see a new world in Thailand. Koh Racha Yai and Koh Racha Noi, are twin islands off the south eastern coast of Phuket. Known for their crystal clear blue waters these islands have been an almost exclusive paradise for divers for years. 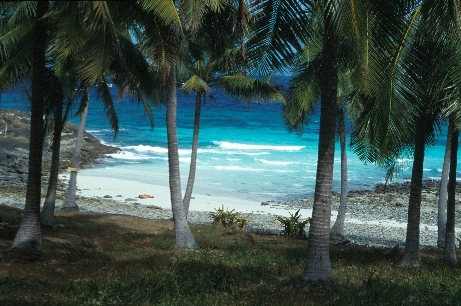 With Racha Yai's white sand beaches and expanding accommodations, Racha Yai is growing in popularity.